Being an independent innovative analog HD video transmission technology over coaxial cable, HDCVI is lperfectly designed to satisfy surveillance requirement. HDCVI has an over 500m reliable HD mega pixel video transmission distance to breakthrough the distance limit of existing technology, As an emerging force in the developing process of video surveillance, HDCVI will accelerate the popularization of high definition video security system in 2014! HDCVI provide a reliable transmission distance of more than 500m over 75-3 or similar coaxial cable by adaptive corrections of signal loss. In addition,HDCVI owns several independent intellectual property rights, including composite audio signal transmission technology and bi-direction data communication technology. HDCVI technology, which satisfies the multiple requirements of market and combines breakthrough innovation and practical application advantages, gives great commercial value in high definition ear. 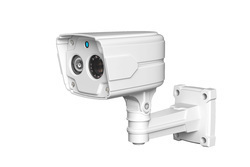 Further,HDCVI will become the video surveillance direction and bring a new industry standard. Since HDCVI 1st launched from Dahua, fro now only compatible with Dahua in the realtime embedded digital video recorder.HDCVI must be a new historical landmark in security industry.Let see how HDCVI will show in 2014! Keep an eye on SZMVISION.